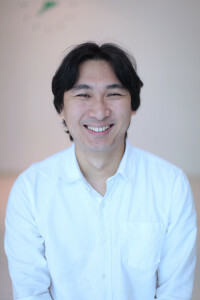 Yu Ming is the Chief Technology Officer at FundedHere. Passionate about turning ideas into reality, he has been part of several start-ups. His corporate experiences began in 2007 as the Co-Founder of JumboSupper, the first completely student-driven fast food business. Not only is he currently part of the FundedHere team, he is also the Co-Founder of Givola Pte Ltd and GIVEASIA.org. Givola Pte Ltd focuses on applying technology to amplify social impact whilst GIVEasia.org aims at providing a marketplace for charities across Asia to get the funds and support they need to carry out their work. Yu Ming received a special mention at the President's Challenge Social Enterprise Awards in 2012. In 2010, he won the IdeasInc Business Challenge and represented Singapore at UC Berkeley for the Intel Global Challenge. Yu Ming graduated from the National University of Singapore with a Bachelors degree in Engineering (Mechanical Engineering).